The NFL playoffs have gone to the underdogs. All four 'dogs covered the spread on wild-card weekend (depending on what line was bet in the Seattle Seahawks-Dallas Cowboys game). Underdogs have covered the spread in the last 10 playoff games, dating back to last season. According to ESPN Stats & Information, it's the longest such streak for underdogs in the Super Bowl era. During the regular season, 134 underdogs covered the spread, tied for the second most in the last 16 seasons, according to betting database BetLabssports.com. • A bettor at the William Hill sportsbook at Ocean Resort in Atlantic City, New Jersey, placed a $300,000 bet on the Baltimore Ravens -3 (even) against the Los Angeles Chargers. The Chargers held off a late Ravens rally and won 23-17. • MGM's sportsbook reported taking four large bets totaling $365,000 on the Chargers from the same customer. As first reported by Covers.com, the bettor bet $100,000 on the Chargers on the moneyline, $100,000 on the Chargers +2.5, $100,000 on the Chargers +0.5 in the first half and $65,000 on Chargers on the first-half moneyline. All were winners. • A bettor at William Hill's book at Monmouth Park racetrack in New Jersey placed a $120,000 bet on the Chargers +3 (-120). • The Chargers attracted more bets than any other team during the weekend at DraftKings' New Jersey sportsbook. • MGM supervisor Scott Shelton said the book took a $260,000 money-line bet on the Chicago Bears to beat the Philadelphia Eagles straight-up. The bet would have paid $100,000. Bears kicker Cody Parkey missed a potential game-winning 43-yard field goal with five seconds to play, helping the Eagles prevail 16-15. • The Bears winning the Super Bowl was the worst-case scenario for multiple sportsbooks. Chicago began the season as a 100-1 long shot. • The Eagles-Bears game was the most heavily bet game since DraftKings launched its New Jersey sportsbooks this summer. • The Seattle Seahawks' successful two-point conversion with 1:18 to play in their 24-22 loss to the Dallas Cowboys had major gambling implications and produced mixed results for sportsbooks. The Cowboys were favored by anywhere from -1.5 to -2.5 throughout the week. 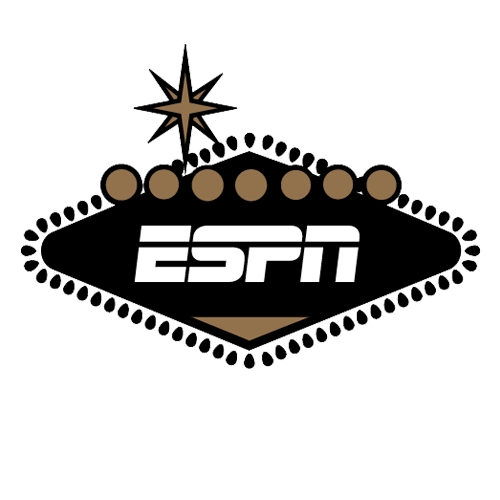 • Las Vegas sportsbook operator CG Technology told ESPN's Doug Kezirian that the game ending with a two-point margin of victory cost the house $200,000. • At William Hill sportsbooks in Nevada, New Jersey and West Virginia, 71 percent of the money bet on the Seattle-Dallas point spread was on the Seahawks. • Liability on teasers and money-line parlays had built up over the weekend, putting Caesars and other books in a precarious position heading into the final game of wild-card weekend. Caesars Palace head of risk Jeff Davis told ESPN that the Eagles' win created an "enormous swing" in favor of the house and helped prevent "Armageddon." • "It's pretty common to be stuck every possible way going into the last of the four games during an NFL playoff weekend," John Murray, director of race and sports for the SuperBook at Westgate Las Vegas, said in an email. "There's always so much parlay and teaser liability going to the final game. I'm sure we will be in a similar position next Sunday with a lot of parlays and teasers closing with the Saints. Gonna need the Eagles again." Colts at Chiefs (-5.5, 56) -- The line grew to KC -6 briefly Sunday night but had settled back at -5.5 as of Monday morning. The total grew to 57 on Sunday. Cowboys at Rams (-7, 49.5) -- Neither the point spread nor the total had moved as of Monday morning. Chargers at Patriots (-4.5, 47.5) -- The total ticked down to 47 on Monday morning. Eagles at Saints (-9, 51) -- The SuperBook held steady at New Orleans -9, while the majority of sportsbooks had the Saints -8 or -8.5. • As of Sunday at the SuperBook, 72 percent of the money bet on the national championship game between Alabama and Clemson was on the Crimson Tide -- including a $110,000 bet on Alabama -5 that caused the book to move the point spread back to -5.5. • Caesars Palace on Saturday posted odds to win the 2020 college football national championship, with only three options: Alabama +180, Clemson +500 and the Field -120. • NBA: Washington, D.C., regional overflow network NBC Sports Washington Plus will produce alternate broadcasts with a gambling focus on eight NBA games, staring with Friday's Milwaukee Bucks-Washington Wizards game. The Bucks-Wizards alternate broadcast will feature a free-to-play predictive gaming contest with a $500 prize, along with real-time sports-betting data and statistics. The news was first reported by SportsBusiness Daily. • College basketball: Caesars Palace sportsbooks offered a prop bet on "Will Nevada go undefeated?" The "Yes" opened at +650 and the "No" at -1,000. Nevada won its first 14 games before falling to New Mexico 85-58 on Saturday.